App developers often face challenges of mobile monetization in terms of app discoverability and user retention. An average user prefers to use regularly only 3-4 apps and usually delays anything beyond those. Organic traffic is also essential. Finding a good mobile ad platform for mobile monetization could be really tiring, so we have prepared a short list of 5 excellent platforms for your mobile app. AppNexus is a real-time ad platform from New York which suports various devices including mobile ones. They employed a Real Time Bidding marketplace. The platform’s architecture offers a wide range of mobile ad types. Their key markets are Canada, USA, UK, Australia, France and Germany. AppNexus supports Android, IOS and Mobile Web. Clickky is a top-ranking mobile ad platform best suited for rapidly evolving emerging markets. Clickky generates over 30.000 offers from 120+ countries daily and its platform delivers more than 100.000 clicks per month. Clickky AdExchange is one of the biggest automated mobile marketing platforms. It provides effective mobile web monetization tools as well as tools for app monetization. It has unique CPI offers, real time statistics, full-time support and a huge variety of mobile ad formats. It works with global traffic and supports both Android and iOS. Appnext is a CPI bidding platform for monetization and promotion. It is a self-serve platform which offers publishers and mobile advertising companies greater control over their mobile commercial activities. Their Appnext Community has united more than 15.000 developers. Global publishers of Appnext have access to over 350M users. It supports Android, IOS, Corona, and HTML5 platforms. Propeller Ads is a South Lanarkshire (UK) based Internet media company, specializing in digital advertising with flexible payment methods. They deliver ads to more than 100M users daily in over 200 countries both through web or mobile devices. Since 2011 they have promoted thousands of CPA, CPL, and CPM ad campaigns and continue to grow their reach worldwide. Propeller Ads supports Android, iOS and Mobile Web. Mopub is an open source SDK for Android and iOS platforms which allows publishers and developers to take an uneasy choice between monetising through real time bidding system, direct ads or ad networks. Mopub works with all HTML browsers; it supports anyad size on desktops, smartphones or tablets. Its key markets are global and USA. 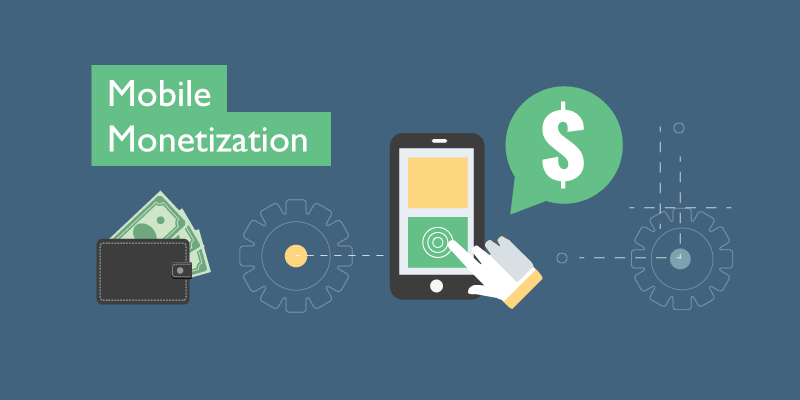 These are top 5 mobile monetization platforms for your mobile application. In case you know any better please let us know using below comment section. Very nice blog. But I think there should one more name listed Moremint. Yes, Moremint.io is also Mobile Monetization Platform. I have really increased traffic and right audience to my new App. They are also offering nice service. Thanks for your feedback Sakshi.